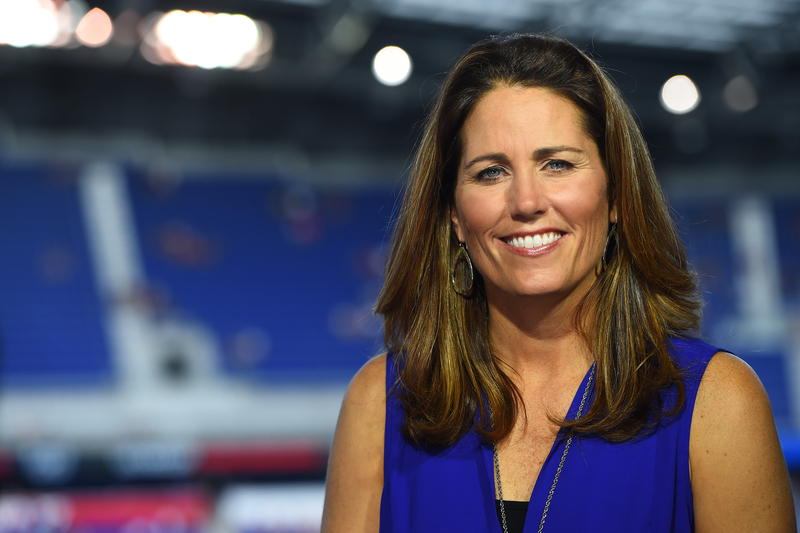 ATLANTA – Gold medalist and World Cup champion Julie Foudy will help shine a spotlight on the value of all types of libraries as the 2017 National Library Week Honorary Chair. Today’s libraries are transforming lives and communities every day by providing patrons safe spaces to engage in civic discussions, tools to access and evaluate online news sources, services to meet the needs of a digitally evolving society and collaborating with teachers to foster student success. To celebrate the contributions of our nation’s libraries and library workers, thousands will commemorate National Library Week, April 9 – 15, 2017. Libraries Transform is the theme for this year’s National Library Week, reminding the public that libraries are expanding beyond their traditional roles and providing opportunities for community engagement and services that connect closely with patrons’ needs. Julie Foudy is a retired American professional soccer midfielder who played for the United States women's national soccer team from 1987 through 2004. Foudy participated in four Women's World Cups and three Olympics for the USA Team. She is a two-time World Cup champion and is also a 1996 Olympic Gold medalist, 2000 Olympic Silver medalist and 2004 Olympic Gold medalist. She was inducted into the U.S. National Soccer Hall of Fame in 2007. Foudy is the director and founder of the Julie Foudy Sports Leadership Academy, a unique residential camp experience that uses sports as a vehicle to teach leadership skills for life. She also founded the Julie Foudy Leadership Foundation, which has a mission of building on a foundation of sports and fitness to empower young women from all socioeconomic backgrounds to become leaders who positively impact their communities. Foudy is currently a reporter and analyst for ABC/ESPN, contributor and writer for espnW and motivational speaker. Foudy also will add author to her credits with the release of her first book, “Choose to Matter,” to be published by Disney Publishing Worldwide in the spring of 2017. Along with sharing stories from her playing days and personal experiences, Foudy taps into the wisdom of other incredible female leaders, including “Good Morning America” anchor Robin Roberts, soccer stars Mia Hamm and Alex Morgan and Facebook superwoman and Lean In founder Sheryl Sandberg. Complete with fun exercises and activities, “Choose to Matter” will guide readers in all aspects of their lives. Publicity tools featuring Foudy, including social media artwork and print PSAs will be available soon at ala.org/nlw. During National Library Week 2016, libraries from around the country submitted video responses to the question “How does your library transform?” The final edited video from the collaboration is now available. Visit the National Library Week toolkit page to watch the video and for information on how to get involved with the 2017 celebration. First sponsored in 1958, National Library Week is an annual observance by the American Library Association and libraries across the county each April. National Library Week celebrations include the release of the ALA’s 2017 “State of America’s Libraries Report,” April 10; National Library Workers Day, April 11; National Bookmobile Day, April 12; and the celebration of School Library Month throughout April. For more information on National Library Week, please visit ILoveLibraries.org.